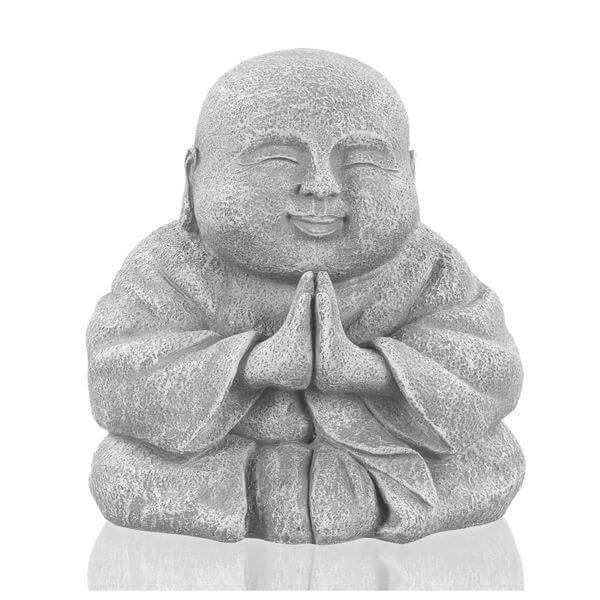 Put some zen in your garden with the Grasslands Road Happy Praying Buddha Garden Statue. This Buddha statue measures 6 inches by 6 inches by 6 inches and is made entirely out of polyresin. It features Buddha in prayer with a smile on his face. 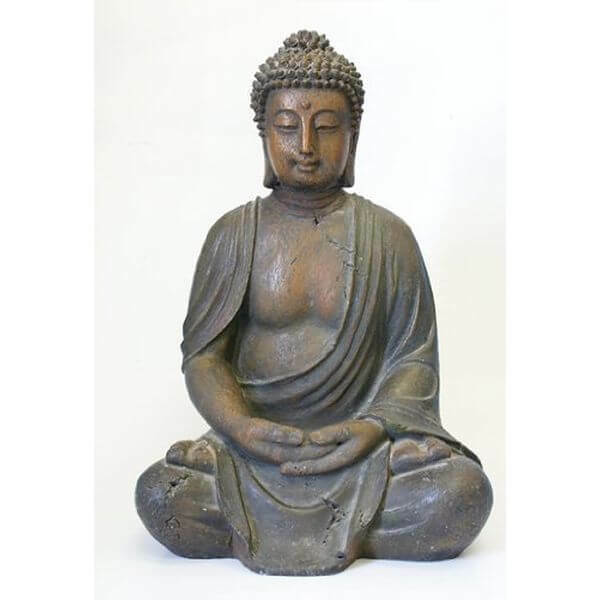 The Alpine Buddha Garden Statue features the image of Buddha sitting in a lotus pose, deep in meditation. This statue is made out of cast stone resin to ensure its long life and features a natural stone color. It has been crafted in such a way as to be perfectly balanced. 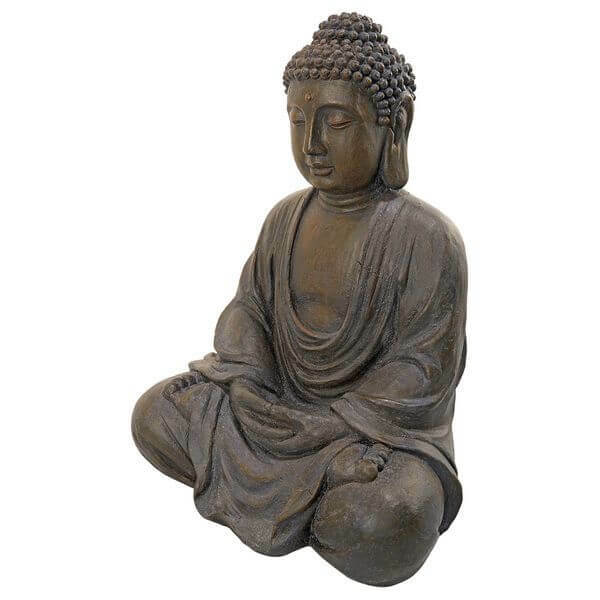 The Design Toscano Meditative Buddha of the Grand Temple Garden Statue is a hand cast statue of Buddha made from real crushed stone and designer resin. It measures 20 inches in width by 15 inches in depth by 26 inches in height and weighs only 19 pounds. 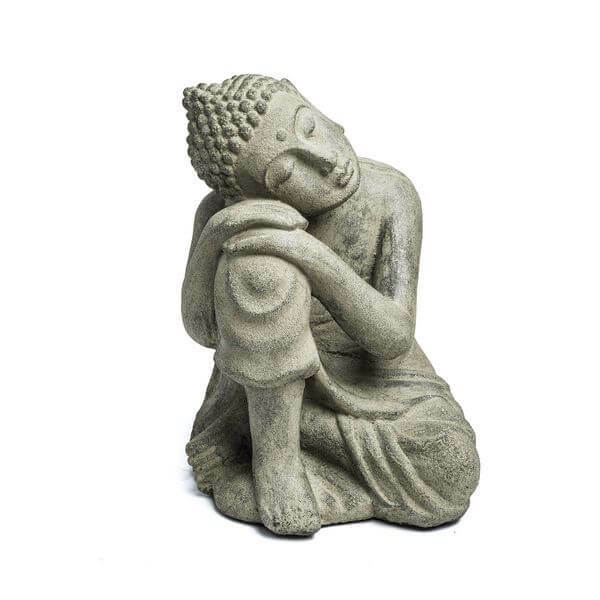 The Repose Dwelling Buddha Outdoor Statue is a statue that features the image of Buddha resting his head and hands against his knee. Ideal for indoor and outdoor use, this statue comes complete with a rubberized bottom as not to scuff up the surface upon which it is placed. 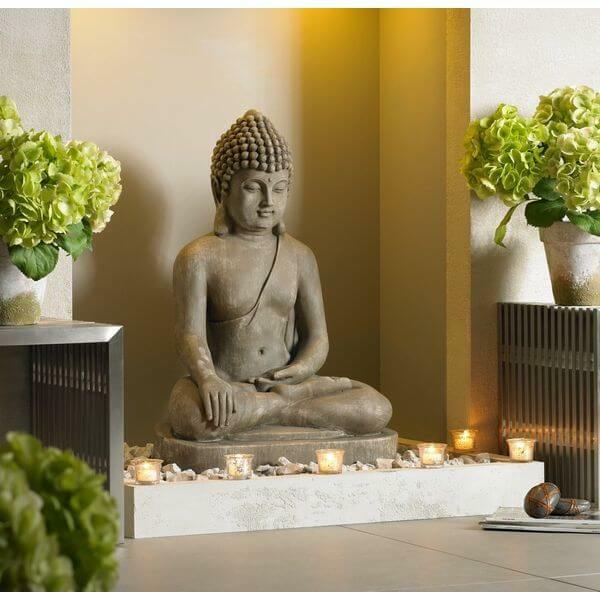 The Sitting Buddha Outdoor Statue features the image of Buddha in a lotus pose. It is made out of durable cast resin for long-lasting durability and comes in a faux sandstone finish. It measures 29.5 inches in height and 21 inches in width for easy placement anywhere. 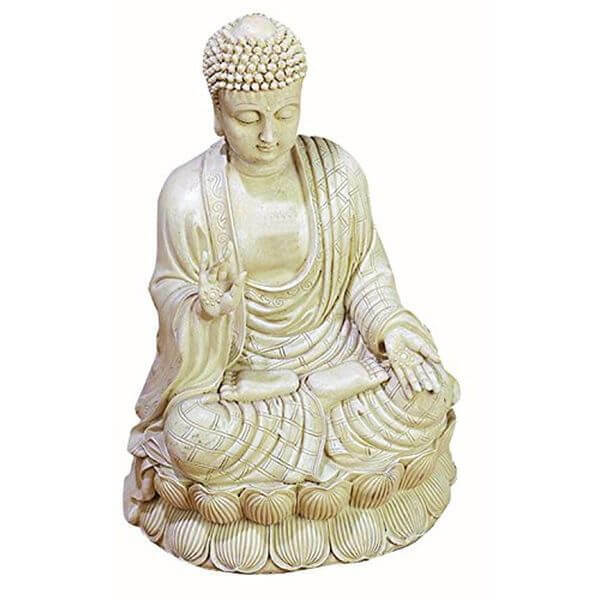 The Benzara Antique White Polystone Buddha Statue features the image of Buddha meditating in a lotus position. Buddha sits atop a small platform and is wearing traditional garments. This statue is made out of durable materials that are intended to last for many seasons to come.